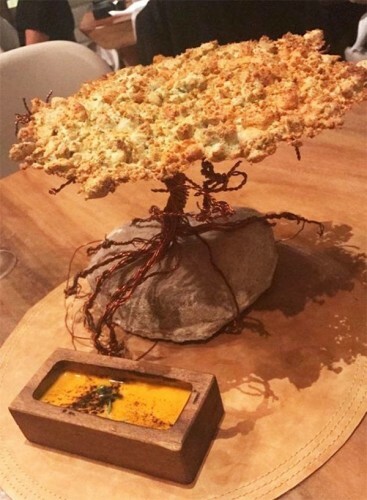 Karachi, all of the hotels and restaurants across the world try different techniques in order to attract their clients. 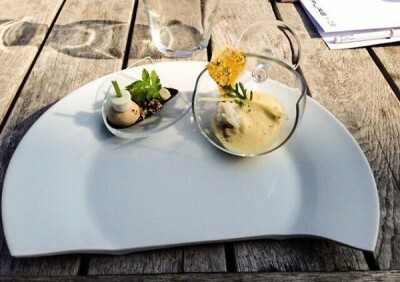 The most important thing is serving the food. 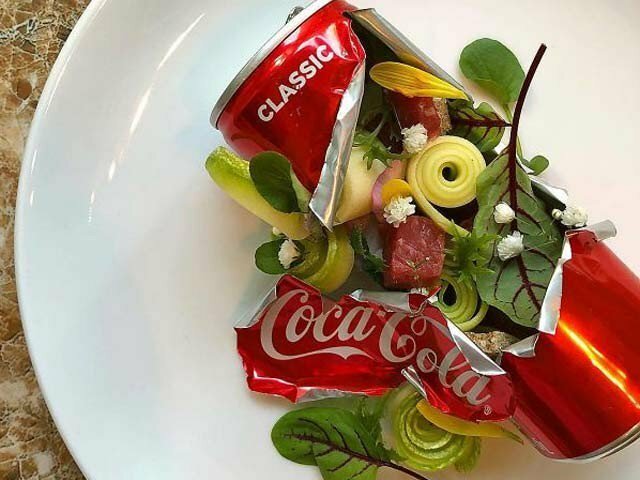 Now you can watch the interesting ways to present the food and their decorations. In an American hotel, a customer gave the order for chocolate and he was served with the plant pot filled with pieces of chocolate. 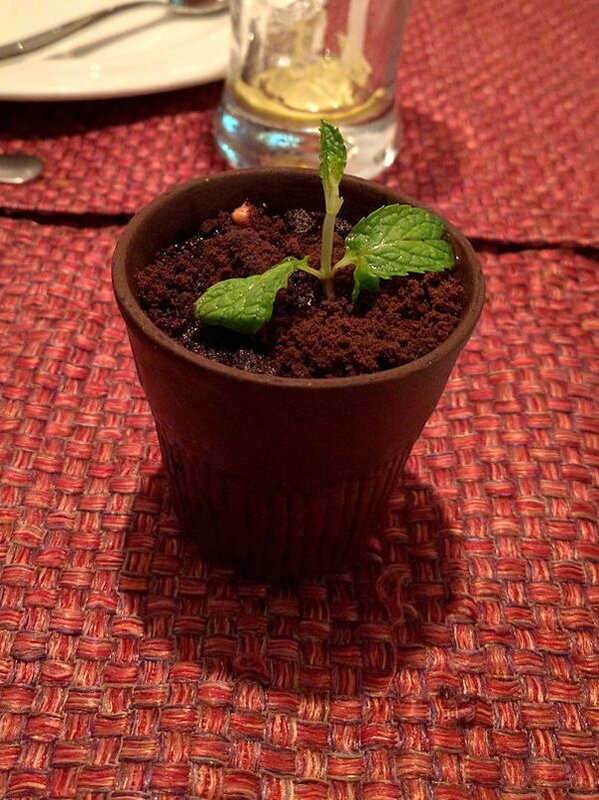 There was no mud in the plant pot but it was filled with chocolate.. 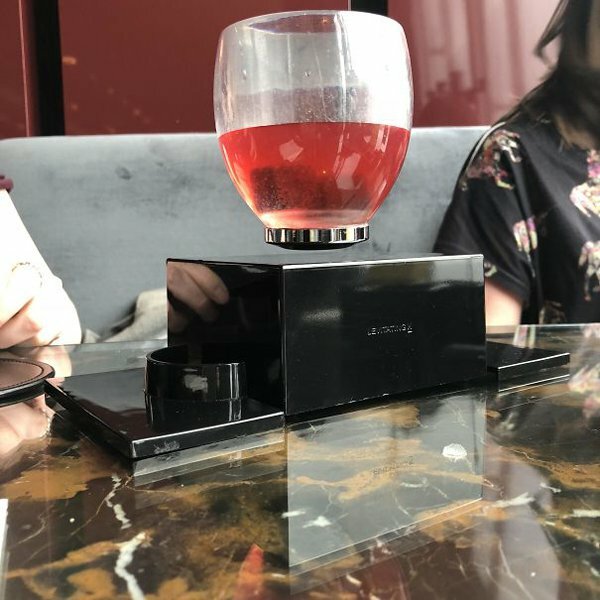 In a restaurant, you watch the glass of drink hanging in the air with the use of latest technology. You can also watch that pizza is served in style of umbrella on an artificial tree in this picture. 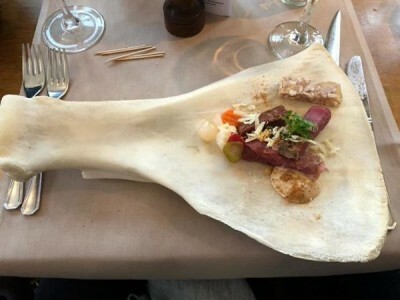 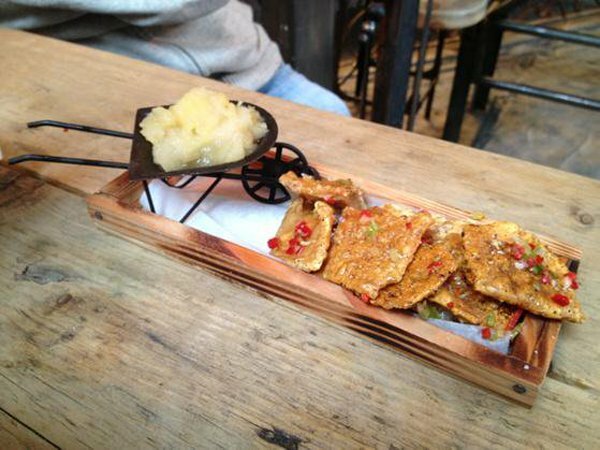 Little amount of food is served on a big bone and this strange dish is an interesting way to attract the people. The cheese is served on a small hand cart and the remaining food is placed beneath, which is the big meat. 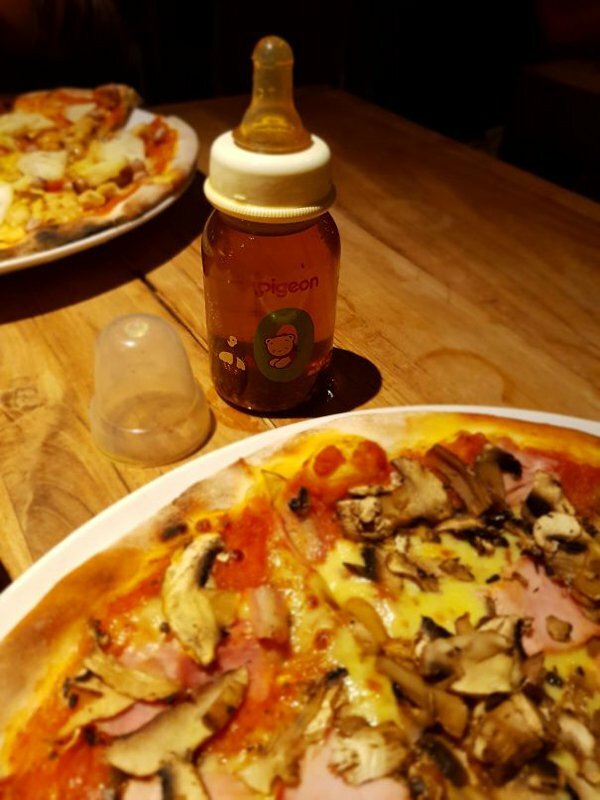 This restaurant has done great job by presenting the pizza with the sauce in a small feeder. 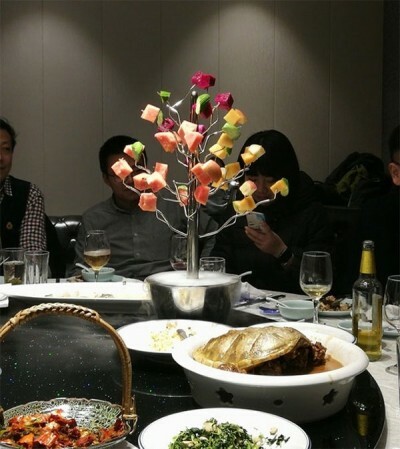 In a Chinese restaurant, the pieces of fruits are presented hanging with small tree. 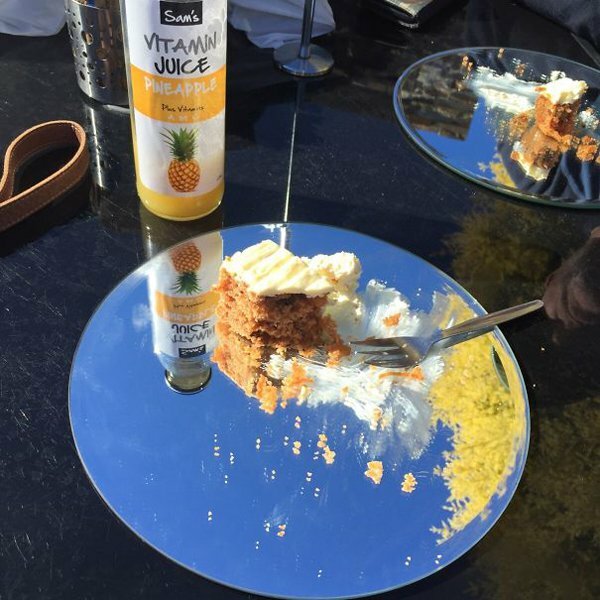 In this restaurant, the cake and drink is served by placing on a mirror. 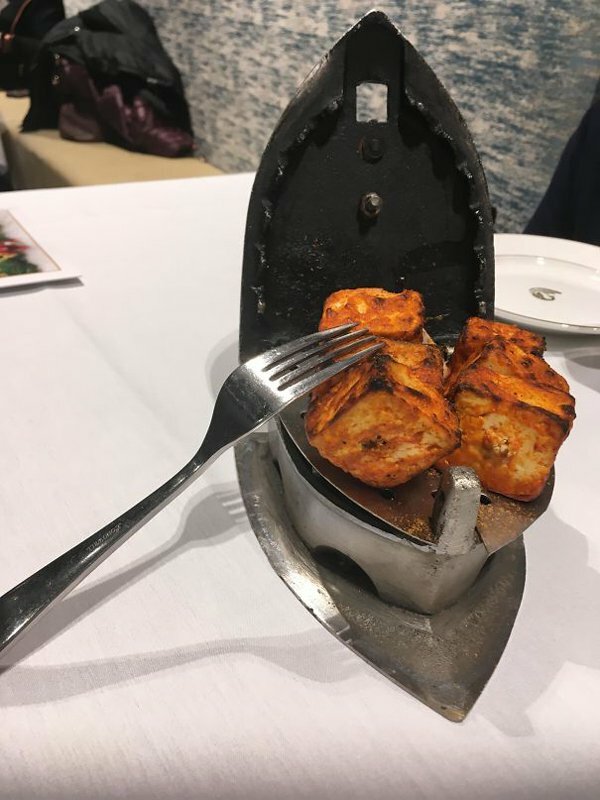 In an Indian restaurant, the cheese tikka is served on the traditional iron.